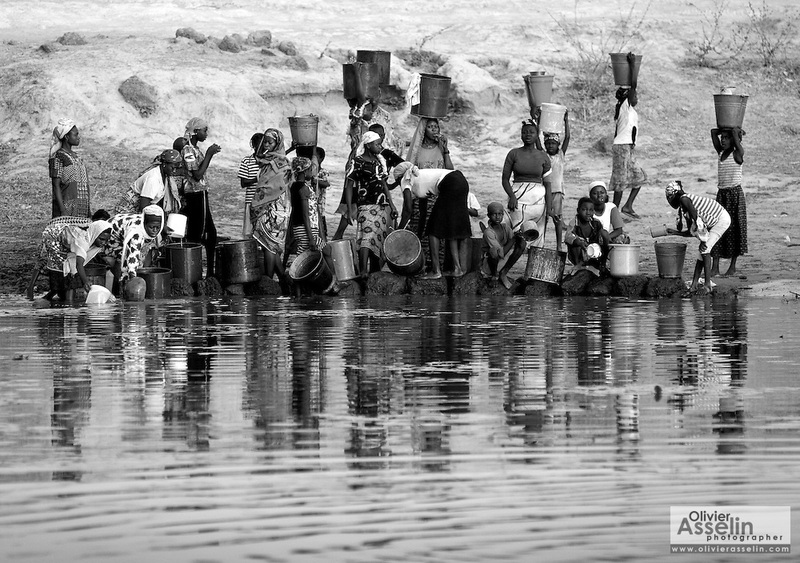 People fill containers with water at the Dikunani dam in Savelugu, northern Ghana, on Friday March 9, 2007. The only of four water sources that has not completely dried out around Savelugu, the pond is used by hundreds of people daily who sometimes walk several kilometers to fetch water. Despite the presence of mesh filters available to people who come get water, cases of guinea worm in the area have gone up sharply in the recent months.